Digital DNA Pty Ltd has been set up to provide Excellent Information Technology & Communications Services and Products. Deliver tangible and measurable benefits for our clients business. Yes, we add value and we create value for our clients. Understand our clients business goals, drivers, tensions, including those of their stakeholders, clients, suppliers and business partners. This helps us “map the DNA” of our clients business. Listen to and understand our clients business and technical requirements. Exceed our clients expectations in a framework of responsiveness, business benefits, professionalism, value for service and integrity in everything we do. Feel free to browse around this site. If you have comments or questions about our services or products, or our site, or simply need more information and want to contact us, click on a contact button/page within this site. Thanks for dropping by and we look forward to being of assistance to you..
T-Suite enables us to offer the full suite of Microsoft Online Services plus additional value added Software as a Service applications (SaaS), such as Accounting by XERO and Backups by MOZY. 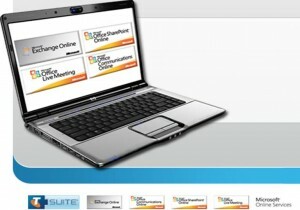 Click here to view a PDF Brochure all about T-Suite. Also in May 2011 Digital DNA became a Symantec.Cloud Partner offering world class cloud based filtering of inbound and outbound mail and web content.